The Chinese Food Festival in celebration of the Chinese New Year, will kick off on 25 January and will run until 7 February at Cinnamon Lakeside, giving diners in Colombo an opportunity to savour over 90 dishes, inspired by China’s rich culinary heritage. 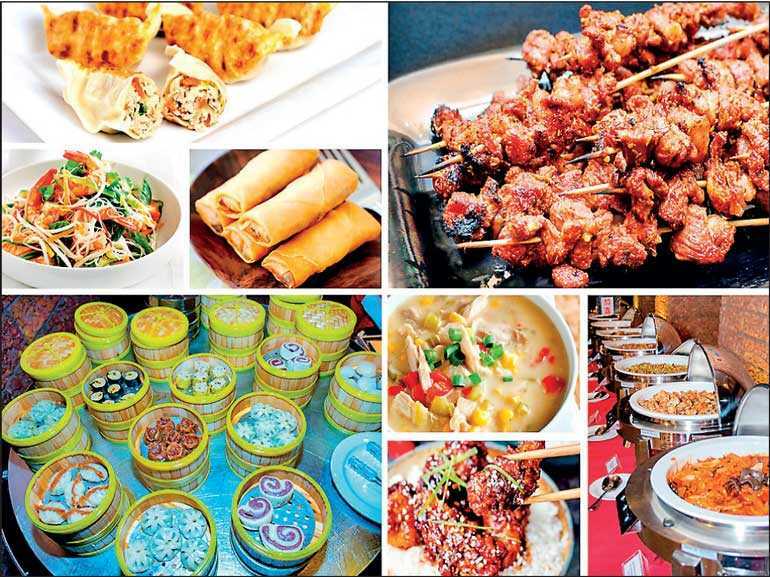 The sumptuous buffet will also include 15 action stations serving popular Chinese specialty items, a Kung Fu noodles demonstration and a kebab counter. To capture the diversity of Chinese cuisine, the Master Chefs have created a menu that includes 16 appetizers, two soups, 31 main dishes featuring seafood, meats (pork, chicken, beef, duck) and vegetables taking in the influences of Cantonese, Sichuan, Shanghai and Beijing styles of cooking. A Dim Sum Bar featuring 21 varieties of dim sum and pan-fried dumplings and 20 desserts with some unique ingredients will add flavour to this lavish spread. All dishes ranging from fish, meats, seafood to vegetables will be cooked with authentic spices, sweet and tangy sauces to ensure the distinctive flavours of each dish. Special beverage discounts and traditional music will further enhance the dining experience. The festival is on for dinner from 7 p.m. to 11 p.m. at the Long Feng terrace. For reservations call 011 249 1949. Follow all the excitement on Facebook: www.facebook.com/cinnamonlakeside.